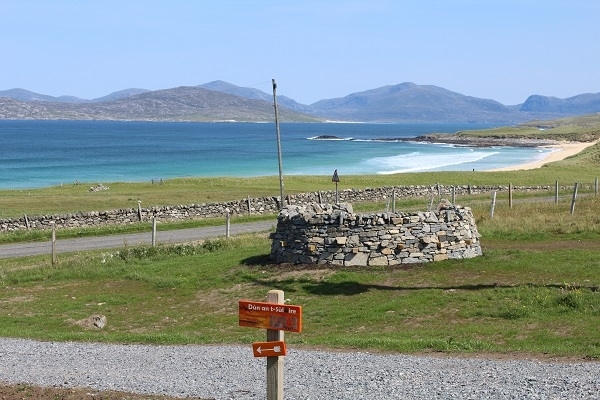 Sandy Bay Croft wigwams, Na Bothain (Scottish Gàidhlig- huts) are two Deluxe, en-suite Wigwams set on a working croft in the picturesque Hebridean village of Scarista. Relax, unwind, you're on island time! Relax, unwind, you're on island time! Our wigwams are ideally situated for nature and adventure enthusiasts, or for those looking for romance or a unique and memorable family glamping experience. 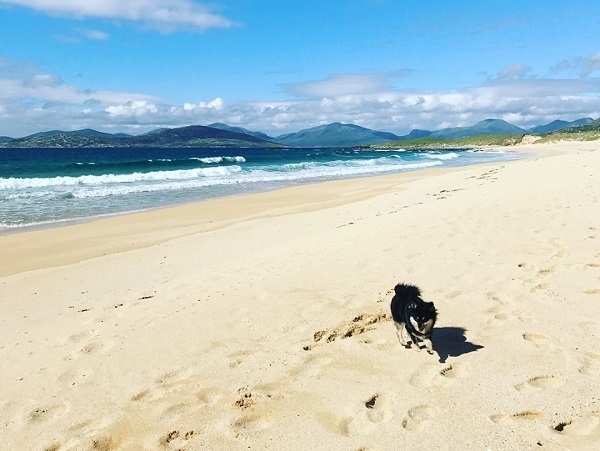 Spend the day exploring the dramatically diverse landscapes, fascinating history, heritage and wildlife the Isle of Harris has to offer. 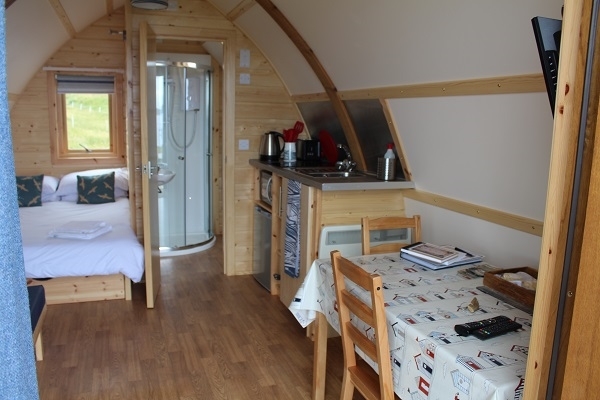 Return to one of our cosy wigwam cabins to relax, recharge and reconnect. 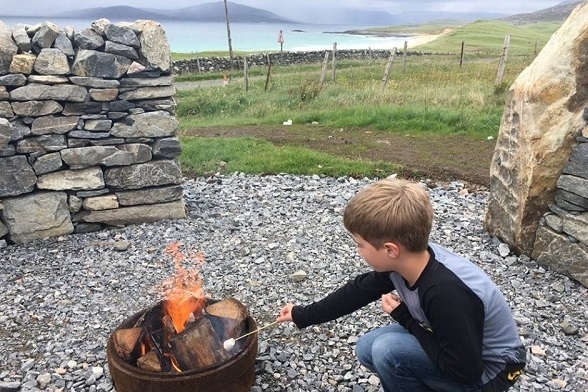 Barbeque some of the freshest seafood and meat the Hebrides has to offer and spend the evening sitting by your own personal fire pit in one of our drystone mini Brochs. 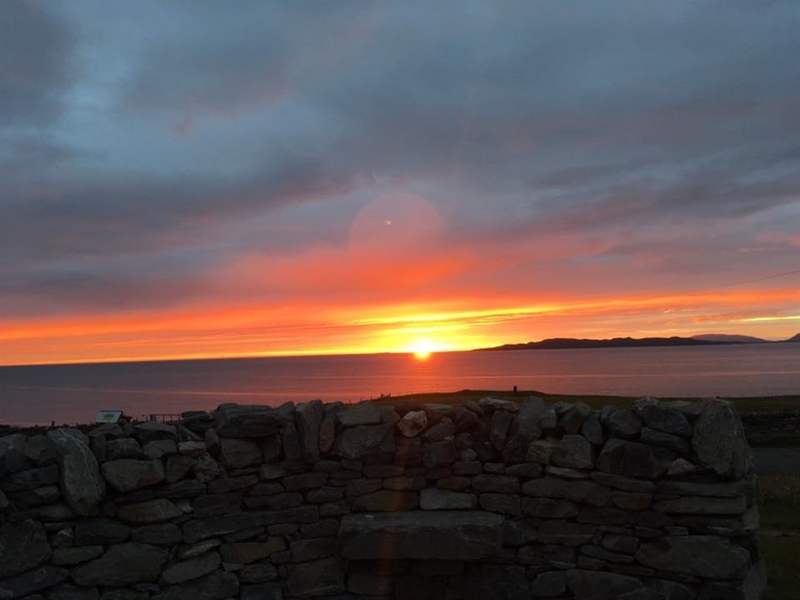 Witness one of the most spectacular moments of the day; the sky transforming into a kaleidoscope of colours as the sun sets and sinks into the Atlantic. On a cold winter's night; experience the cosy feeling of being warm and snug in your wigwam, whilst witnessing a spectacular phenomenon, as the Aurora Borealis creates a beautiful display of auroral arcs and parallel rays of colour dancing across the night sky. 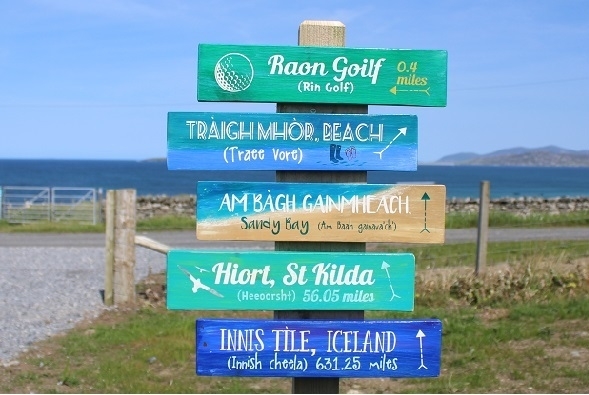 The site is on the main A859 route, making it the perfect stop off for; cyclists taking up the challenge of the Hebridean Way Cycle route, an ideal base for those taking a day trip to the fascinating island of St Kilda, as well as offering guests the chance to observe incredible sunsets and see the Northern Lights in all their glory. 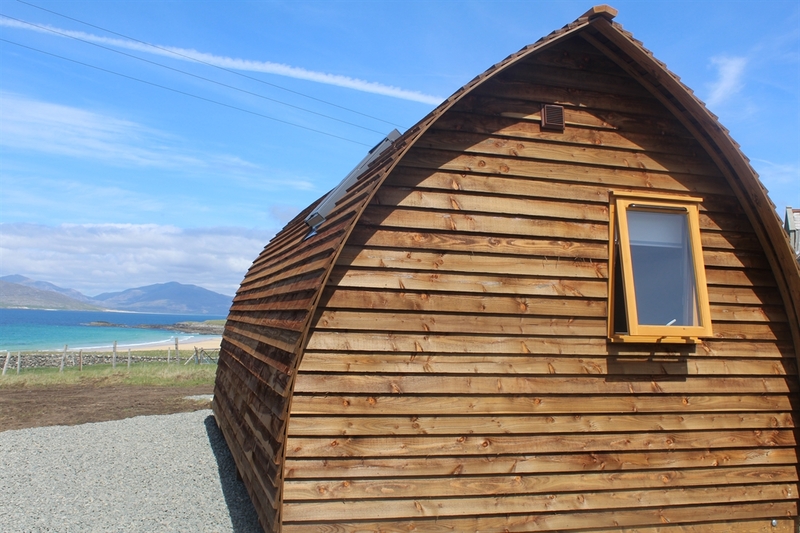 Cyclists/ Hikers: Our wigwam cabins are the ideal place to spend the night if completing the Hebridean Way Cycle route or Walkway. Don’t worry about adverse weather, we have bike/ hiking gear storage and laundry facilities on site. Families: By hiring one of our Baby/Toddler Essentials kit, families can travel light, safe in the knowledge that everything you need for a fuss free, relaxing holiday will be waiting in your wigwam cabin when you arrive. We also have onsite laundry facilities- a must when holidaying with young kids. 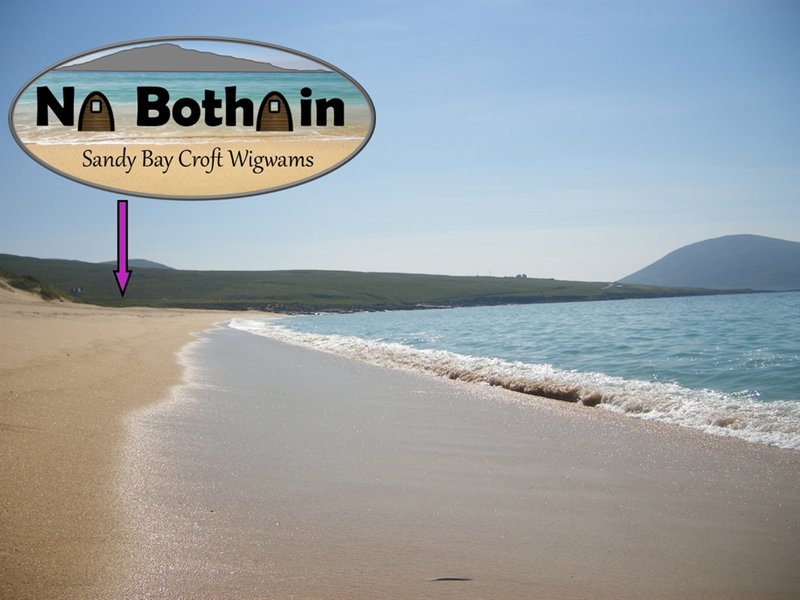 Sandy Bay Croft Wigwams received match funding from LEADER.